Immersed in the peaceful atmosphere of Karlovy Vary’s rivers and woods, thirty members of Europa Distribution took a step back from their daily working routine to acquire some new tools on Script Evaluation and share their perspectives with other distributors working in different territories. It all started on a Monday. 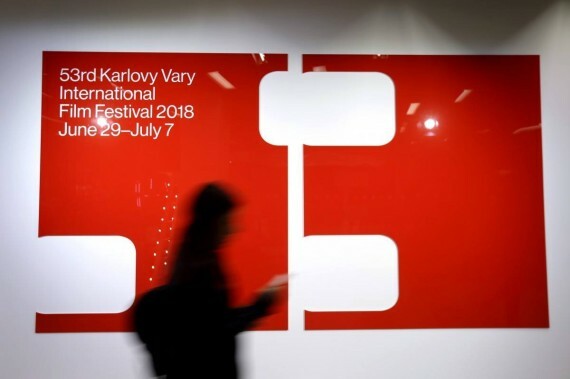 In partnership with the KVIFF – that on its 53rd edition counted over 13.000 accredited participants – Europa Distribution co-organized on July 2 a showcase session entitled «Artificial Intelligence and Script Analysis: Predicting Commercial and Critical Success for European and Independent Film». The CEO of ScriptBook Nadira Azermai introduced her company and explained the vision behind its recent foundation. Born in Belgium in 2015, ScriptBook is a 100% European start-up using Artificial Intelligence to provide fully automated screen-plays analysis and financial forecasts to producers, distributors and investors who wish to look into the AI crystal ball. How does that work? Based on what the machine has “learnt” about films (its algorithms are trained on dataset from 65.000 scripts and metadata from 15.000 movies), ScriptBook processes any script written or translated into English that can be uploaded directly on its online platform in a pdf format. According to Azermai one of the big advantages of bypassing human interference is that the evaluation is completely unbiased. And of course the machine is much faster than any human reader. Distributors in the room were interested to learn more about the kind of scripts that can be processed by ScriptBook and whether the machine could be useful to evaluate also very niche European arthouse films with no casting and no big names attached. Azermai admitted that at the moment ScriptBook doesn’t have a rich database of such scripts and hasn’t therefore “learnt” how to read them but she added that, if the platform was provided a sufficient amount of arthouse film scripts on which to get trained, nothing would prevent Scriptbook from becoming a good talent scout for independent arthouse cinema as well. Besides taking part to the first edition of the Script Evaluation workshop distributors attended Festival activities and work-in-progress sessions. Europa Distribution members also met the Lux Film Prize team, who had just announced the 10 films in Official Selection on July 1, to discuss about how the films competing for the Prize (to be announced on July 24) could best benefit from their joint efforts. In August Europa Distribution will be present in Haugesund to talk about the releases of Scandinavian titles across Europe and beyond and then in September, the association will fly to San Sebastian to discuss about how distributors can give films from their catalogue (films older than 3 years) a new life after the usual first windows. Stay tuned and… Let’s talk!